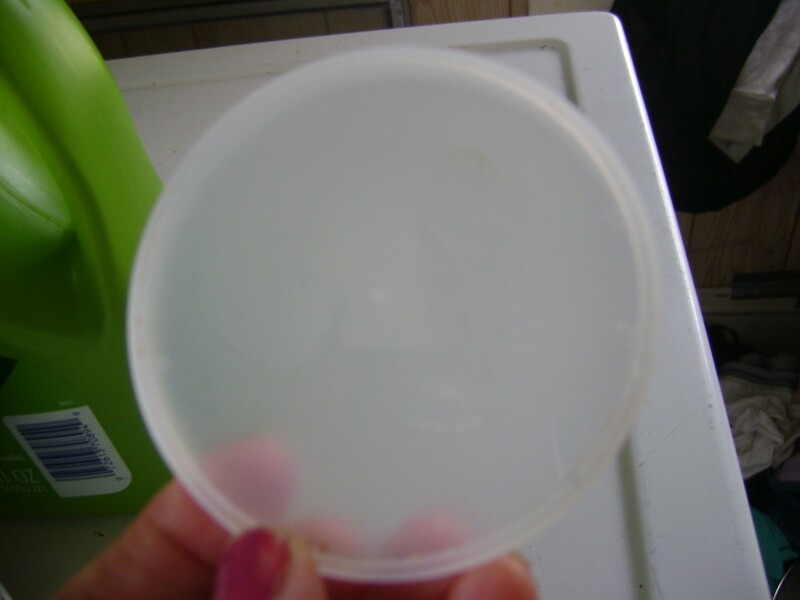 Many of the containers in our homes have lids and most lids are not recyclable. This is a guide about crafts using plastic lids. 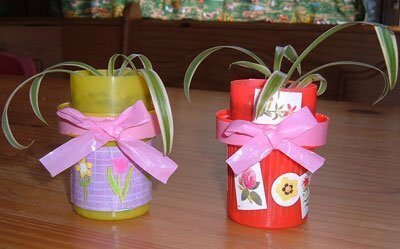 Here is an inexpensive craft for Mother's Day easy enough for pre-schoolers to do. 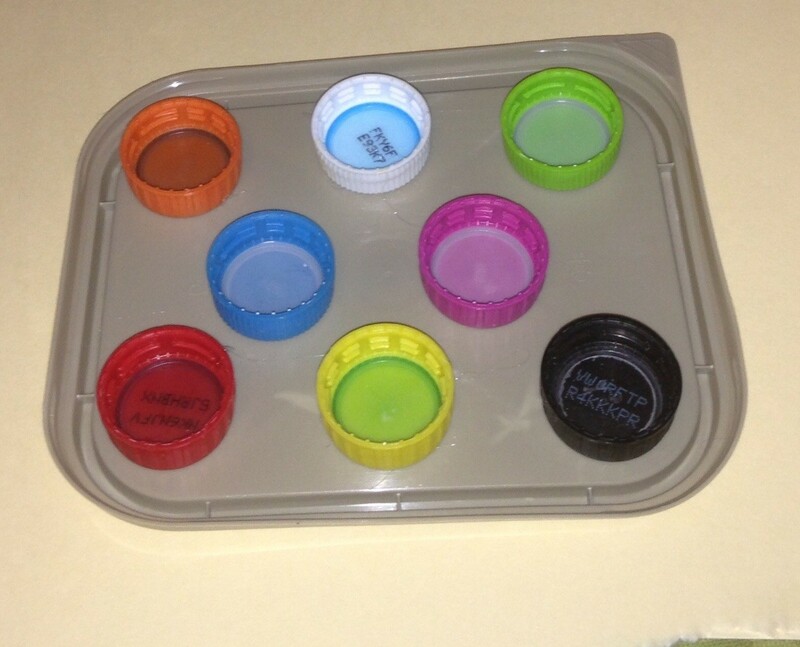 Decorate your lid with stickers or pictures. Hot glue the bow on (parents can do this step). Fill it up with potting soil and put your plant in. I used a spider plant. They always have babies that you can use to start new plants. We did this in church for Mother's Day this year. The kids enjoyed decorating the planters for their mothers and it's a gift that mom can enjoy all year. They are perfect for painting projects from young to old! If you don't like the outcome, you can clean it off and start over! You can cut the lip from around it as well, to create crazy shapes with the lid, or to make hearts, etc. for any occasion. The lip can be crocheted around and used as a base for a towel hanger! "Crafternoon" boredom buster for the kids. We saved the lids from water bottles and soda-which should be removed for recycling, in case you didn't know this already. We hot glued two lids together to create play "Buggies" for "Bugville". My children came up with this idea! They glued eyeballs and even antennae pipe cleaners. 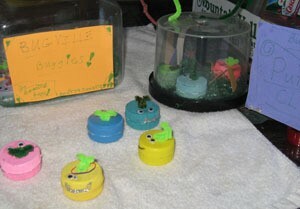 They customized each bug with paint and made bug houses out of large dish detergent tab bottles and some recycled Easter grass. Great fun and creativity. I bought this little Coke Cola magnet for a friend of mine. 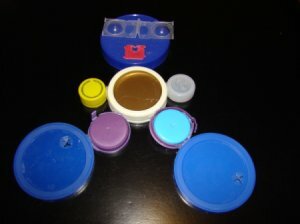 I didn't have any cute little gift bags so I made a little present box out of two Stax lids. I just measured it and the magnet inside fit. In lieu of buying paint palettes, why not make your own? I have used paper plates before, but all the paint tends to run together eventually. 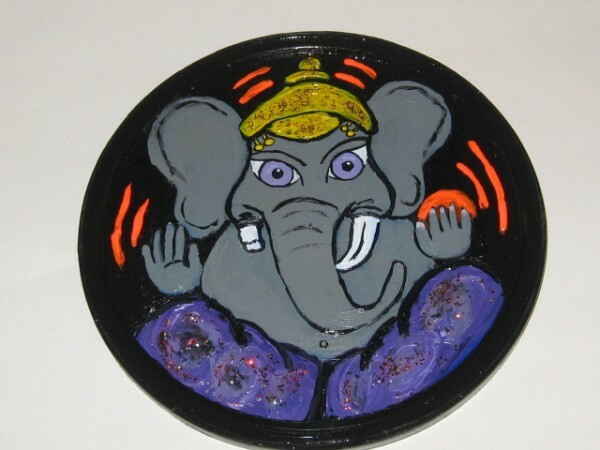 With just a few supplies, you can have a palette that keeps the paint separated and is perfect for any age to use. I keep clear lids from things like Pringles, Beef Jerky, etc. They are great for a lot of things. 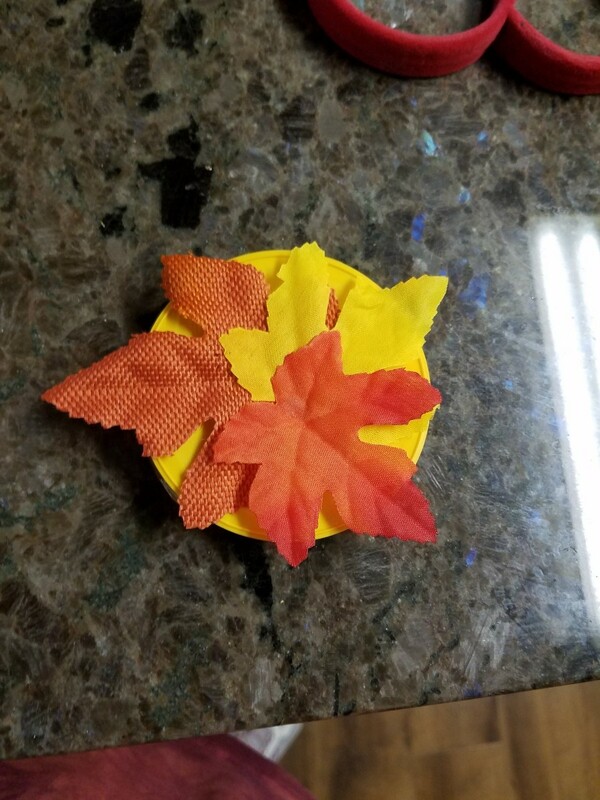 Every time I toss one of the colorful, translucent Beneful dog food lids into the recycle bin I think "what could I make out of that?" Now that Christmas is coming, I'm thinking "stained glass" ornaments of some sort. The colors are pretty, the plastic is durable and flexible, hmmm. Ideas? I have heard of putting clear plastic beads in the bottom of an oven proof pot and melting them in an oven to make sun catchers. 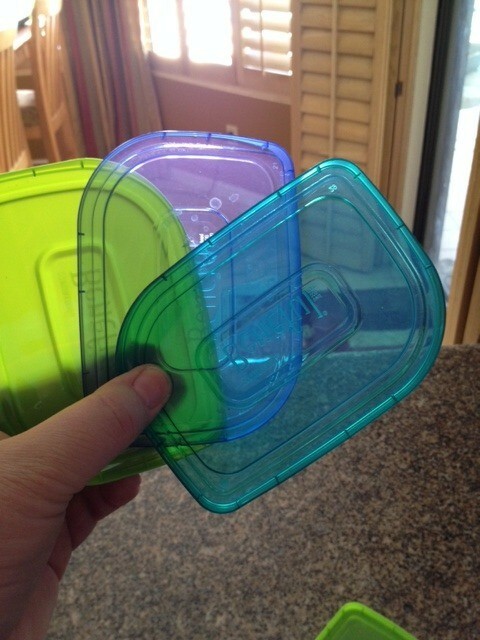 There are some safety issues with this obviously but maybe you could do something similar by cutting these lids in small pieces, arranging them in a nice pattern and doing the same. 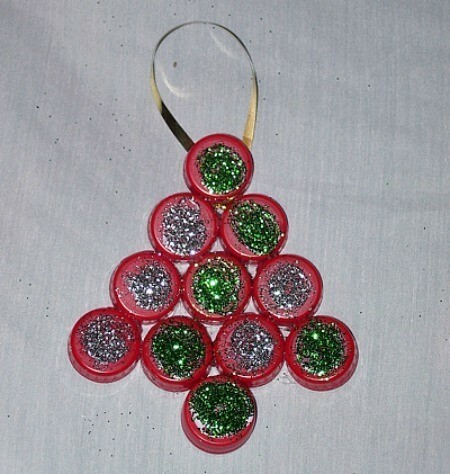 Make a sparkly Christmas decoration or ornament using soda bottle lids that would typically end up in the trash. This is a guide about plastic Coke lid Christmas tree.